Along Commonwealth Avenue, Dundee Road and Strathmore Avenue (Queenstown), a new condominium will stand as a landmark and home to its varying residents. The Queens Peak is a newly launched condominium by the prominent developer, HY Realty. With an estimated total land size of 10,516 square metres, which is able to house an estimated 700 units provides a variety of layouts and number of rooms catering to different household needs. Being at the city fringe gives its residents the unique benefits of urban living where commercial areas are readily accessible whilst stationed in a calm, zen-like environment. Whether you are a property expert or not, you will always check on the facilities when you have a condominium prospect. A condominium’s facilities add to the advantages and will always be favorable to its home owners, and with the right mindset, the property design will serve as one complete package that always has a step ahead from the rest. Future residents can look forward to fitness corners and equipment, crystal clear pools and lush greenery and gardens. Function areas and barbecue pits allow sumptuous meals and gatherings for families and friends. Children can spend more time outdoors without having to travel far. Have fun at the pool, playground or simply go sightseeing. Feel luxuriously pampered and get a well-deserved rest right at your doorstep. All these and more can be yours at Queens Peak Singapore. In a few blinks, future residents will be able to visit the surrounding shopping districts, malls, hawker centres and pubs. For furniture and other home items, IKEA Alexandra is the first choice for its family friendly environment and house fittings at affordable prices. Grocery shopping is also a breeze at Fairprice, Sheng Siong, Giant and Cold Storage spread out for ease of access. Anchorpoint Mall and Queensway Shopping Centre are a shoppers dream. These malls are very accessible from Queens Peak condominium and have factory outlets and exclusive promotions. Many locals from all over Singapore take time to drop by and check out the price drops you won’t be able to find anywhere else. Another upcoming mixed development (hotel with retail shops) named Alexandra Central will also be around the vicinity where you can visit and check out the latest trends in fashion, technology and other shopping needs. Local and international restaurants and wide variety of well-known local food choices such as ABC Brickworks Food Centre, Commonwealth Crescent Market and Alexandra Village Food Centre surrounds the property for your convenience and enjoyment. For fitness buffs and Queens Peak residents and families keen in recreational activities, the Temasek Club and Queenstown Swimming Complex and Stadium is the perfect location to play various sports and fulfill a healthy lifestyle with exercise and fun games. There are swimming lessons available for those that are interested in learning how to swim. The complex is very spacious for the public to have a great time. Nature-oriented individuals will have blast visiting the Singapore Botanic Gardens. Fresh air, tranquility with horticultural designs and displays will be a one of a kind experience and is definitely worth your while. A mere six minute drive will take you to Orchard, another shopping district haven for locals and tourists alike. From bargains to the branded goods, you can spend the day going about your retail therapy and food curiosity and reach home with enough time to take a breather and ready for the next day. For drivers going around the city, The Ayer Rajah Expressway and Central Expressway provide great connectivity to all parts of Singapore. Apart from driving private vehicles, the Queenstown MRT and a handful of bus stops can be accessed just by a brief walk from Queens Peak Condo. Establishments and institutions are also strategically located in this mature estate and neighborhood. For school children and students, several education centres and prominent schools are a few blocks away such as Queenstown Primary School, Queenstown Secondary School, Queensway Secondary School, CHIJ St. Theresa’s Convent, MDIS and Global Indian International School to mention a few. Medical care is always available from Queens Peak. 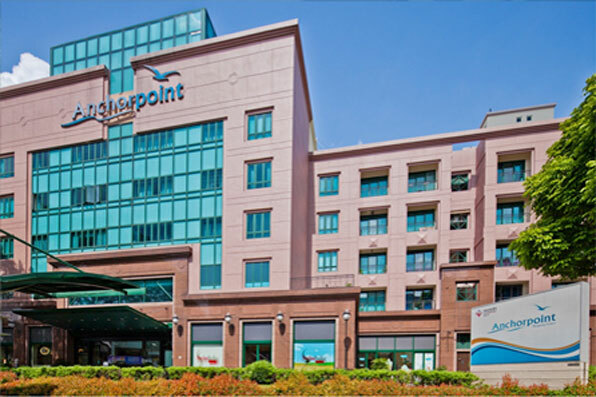 Just minutes away are Queenstown Polyclinic and Alexandra Hospital to reassure you and your loved ones of the best medical care. Investors will also be glad to take part in this 99 year leasehold property for its strong pull in the property market and industry. Similarly experienced at other developments in West Singapore such as Redhill and Jurong, real estate has been doing well and is expected to further improve in the coming years for the continuous rise of commercial developments and the transportation system. Exclusive and sophisticated lifestyle awaits you and your loved ones at Queens Peak. 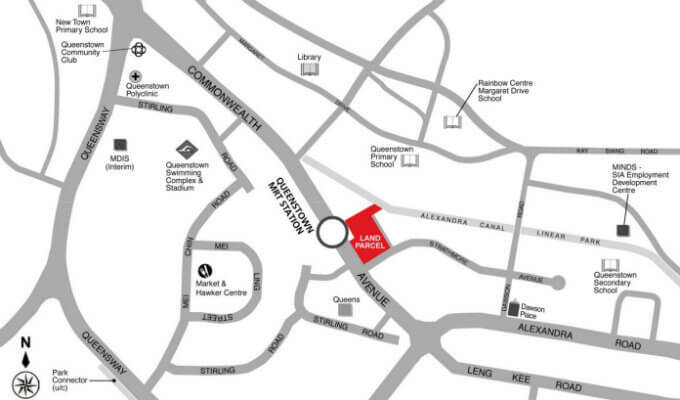 Be engaged in a paradise of amenities and convenience in the heart of Singapore. At Queens Peak, you get to live your life to the fullest and feel your sense of security and confidence within your grasp. For more information on Queens Peak, simply fill up your details below and our saleperson will get in touch with you shortly!